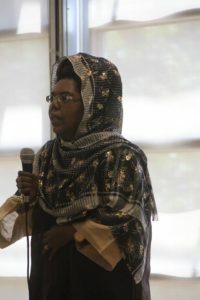 The Community Mobilization for Gender Based Violence (GBV) Prevention is a project carried out by the Somali Family Safety Task Force in an effort to provide culturally and linguistically appropriate services to the Somali community about preventing domestic & sexual violence (gender-based violence GBV). Additionally, the Community Mobilization for GBV program supports Somali community-led processes and activities to reassure the shifting of ownership of prevention from social services programs to the community. The Task Force is currently conducting ongoing research workshops on GBV in the Somali community. For more info or to get involved, contact us at 206-495-9504 or email us info@sfstf.org.